Scientists from the University of Queensland have used photons (single particles of light) to simulate quantum particles travelling through time. Their research, entitled "Experimental simulation of closed timelike curves", is published in the latest issue of Nature Communications. The grandfather paradox states that if a time traveller were to go back in time, he could accidentally prevent his grandparents from meeting, and thus prevent his own birth. However, if he had never been born, he could never have travelled back in time, in the first place. The paradoxes are largely caused by Einstein's theory of relativity, and the solution to it, the Gödel metric. Einstein's theory of relativity is made up of two parts – general relativity and special relativity. Special relativity posits that space and time are aspects of the same thing, known as the space-time continuum, and that time can slow down or speed up, depending on how fast you are moving, relative to something else. 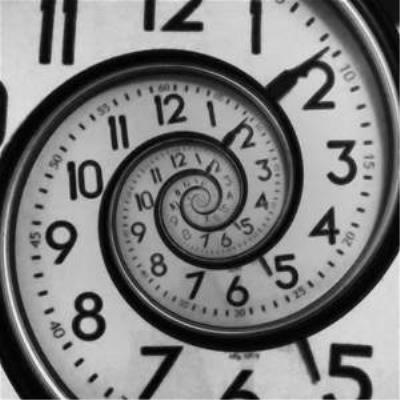 Gravity can also bend time, and Einstein's theory of general relativity suggests that it would be possible to travel backwards in time by following a space-time path, i.e. a closed timeline curve that returns to the starting point in space, but arrives at an earlier time. It was predicted in 1991 that quantum mechanics could avoid some of the paradoxes caused by Einstein's theory of relativity, as quantum particles behave almost outside the realm of physics. "The question of time travel features at the interface between two of our most successful yet incompatible physical theories – Einstein's general relativity and quantum mechanics," said Martin Ringbauer, a PhD student at UQ's School of Mathematics and Physics and a lead author of the paper. "Einstein's theory describes the world at the very large scale of stars and galaxies, while quantum mechanics is an excellent description of the world at the very small scale of atoms and molecules." The scientists simulated the behaviour of two photons interacting with each other in two different cases. 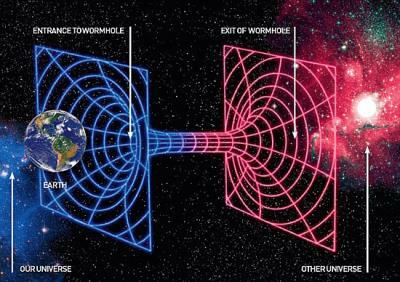 In the first case, one photon passed through a wormhole and then interacted with its older self. In the second case, when a photon travels through normal space-time and interacts with another photon trapped inside a closed timeline curve forever. "The properties of quantum particles are 'fuzzy' or uncertain to start with, so this gives them enough wiggle room to avoid inconsistent time travel situations," said co-author Professor Timothy Ralph. "Our study provides insights into where and how nature might behave differently from what our theories predict." Although it has been possible to simulate time travel with tiny quantum particles, the same might not be possible for larger particles or atoms, which are groups of particles.